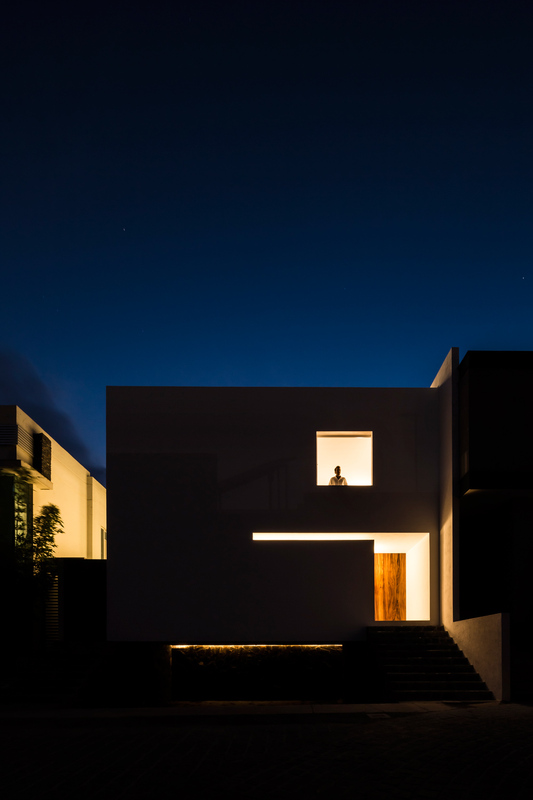 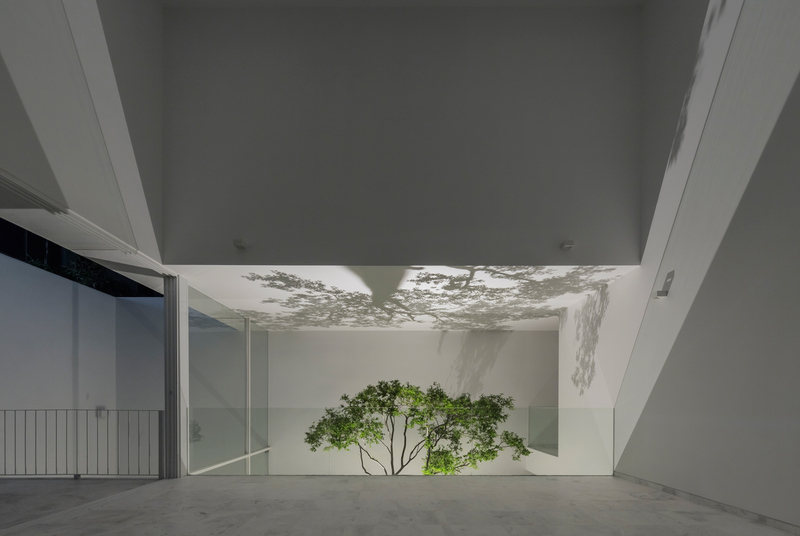 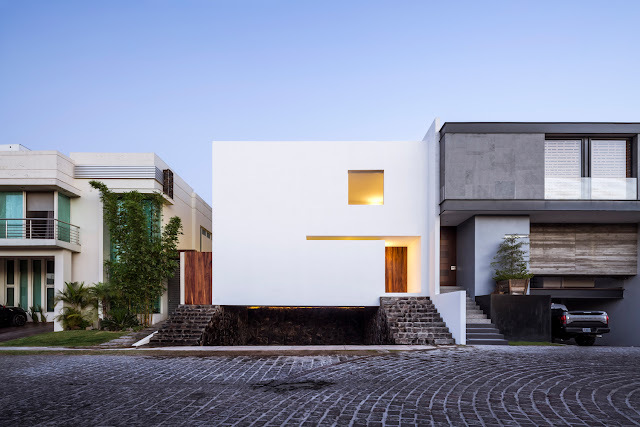 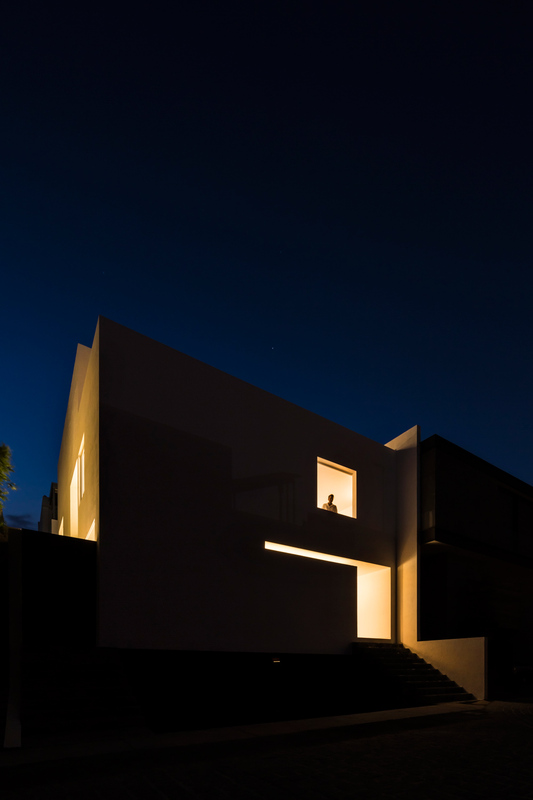 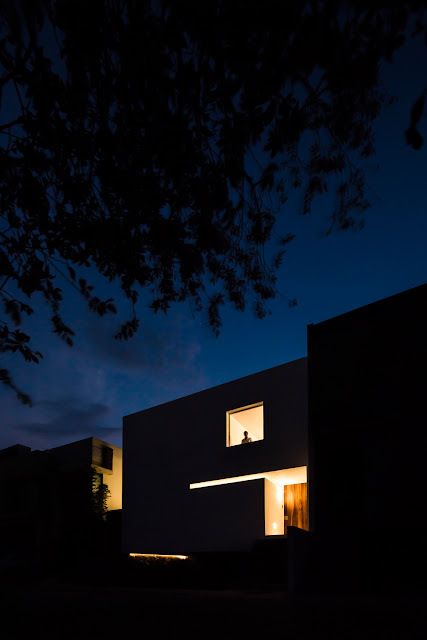 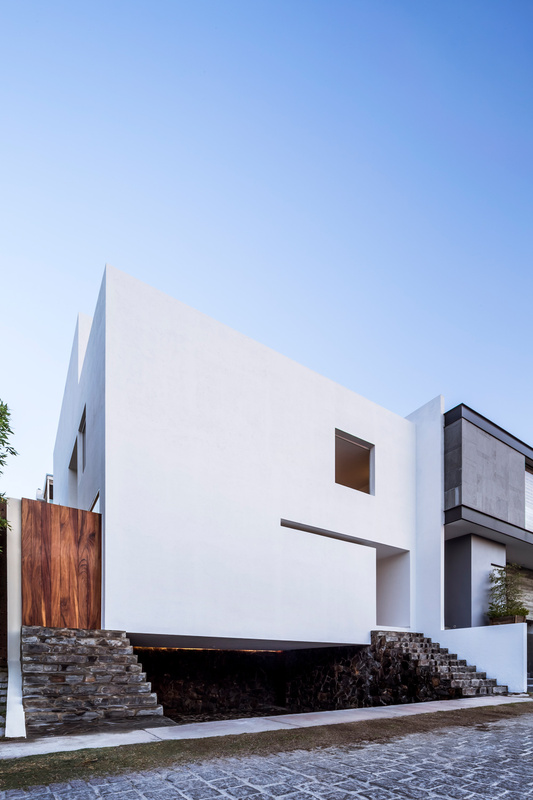 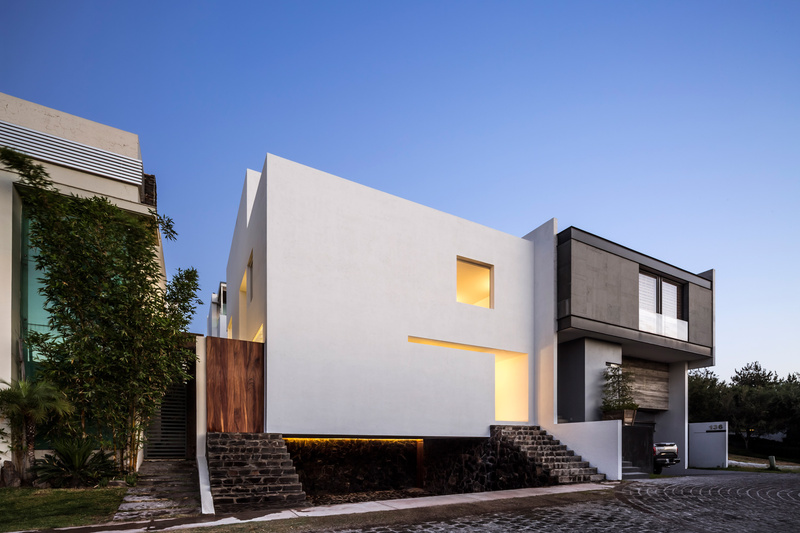 Abraham Cota Paredes Arquitectos recently completed The Cave, a minimalist house in Jalisco, México. 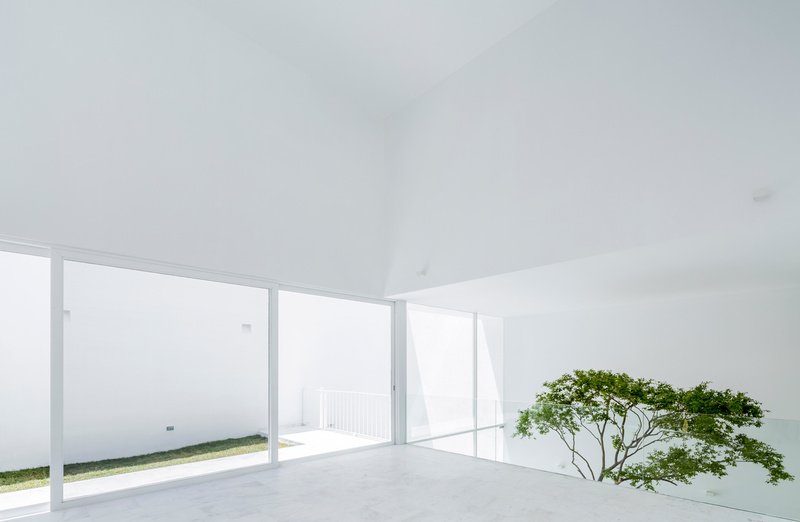 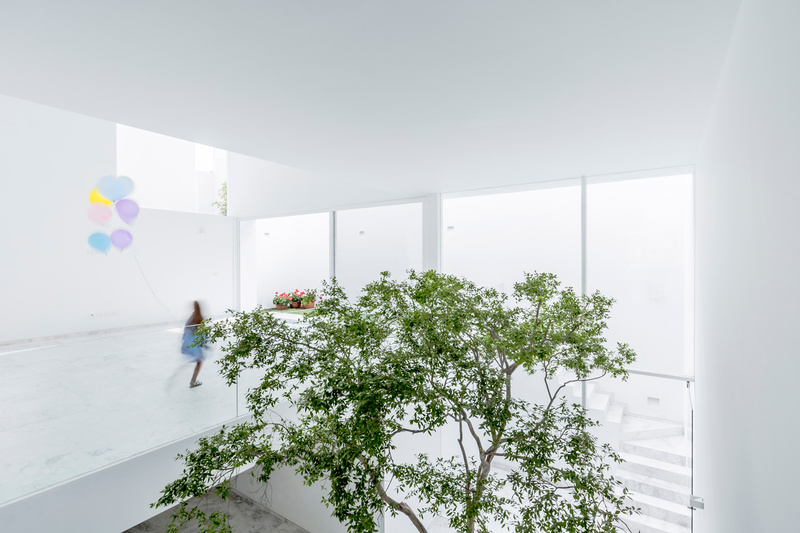 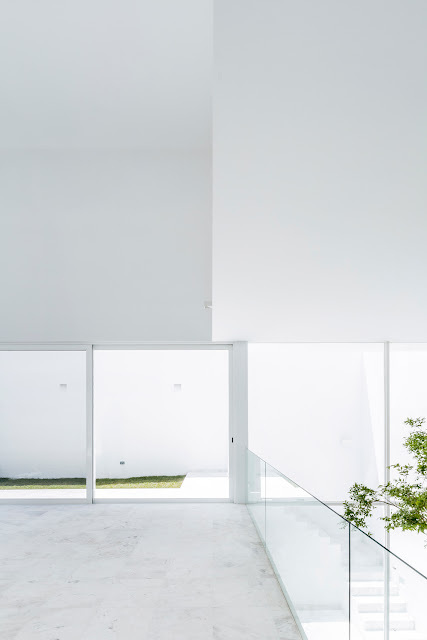 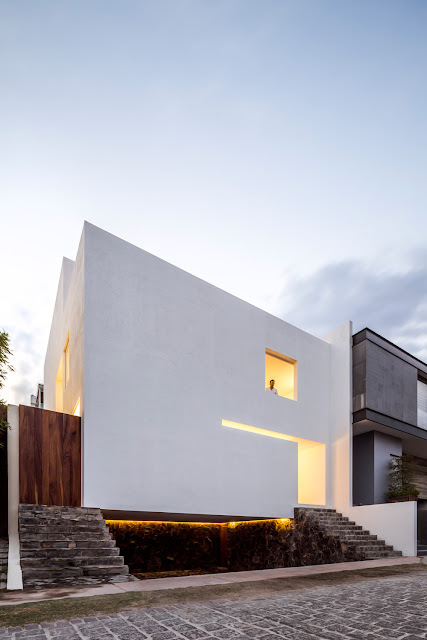 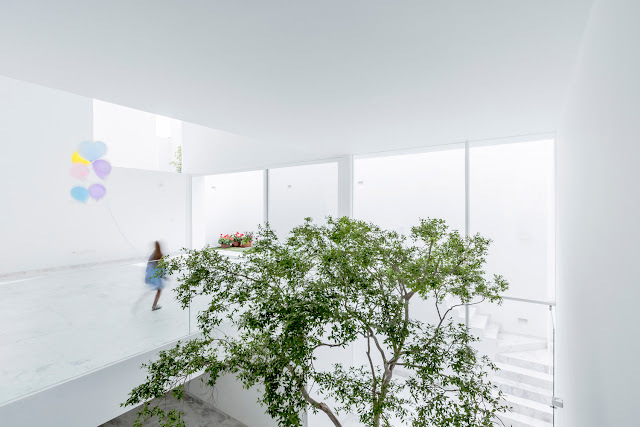 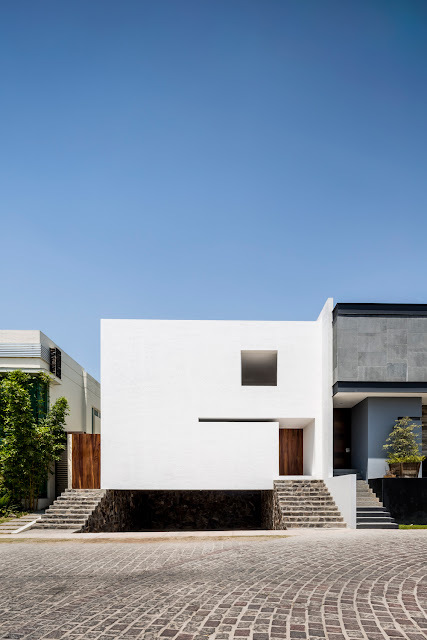 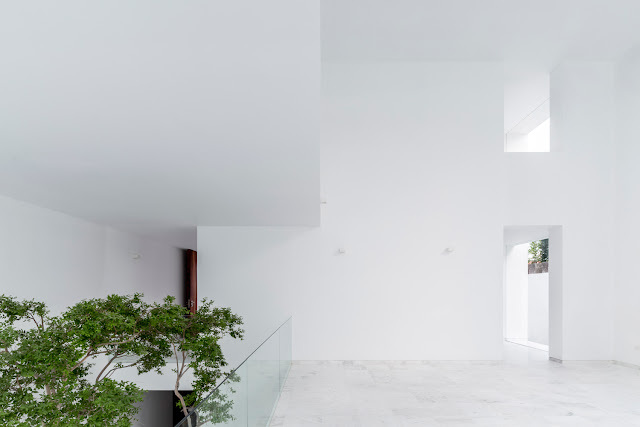 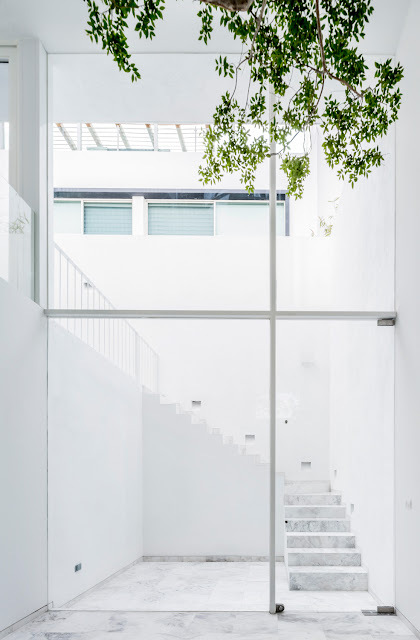 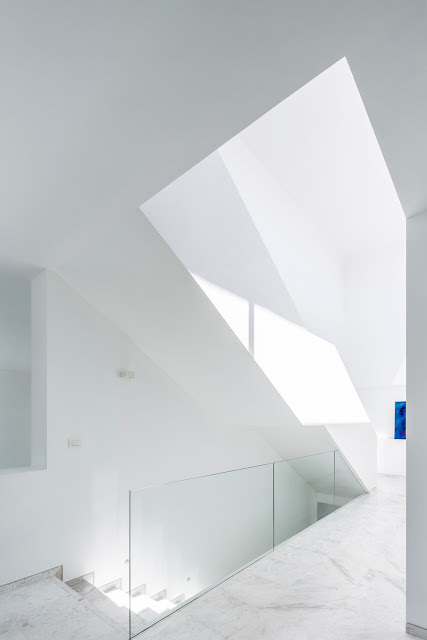 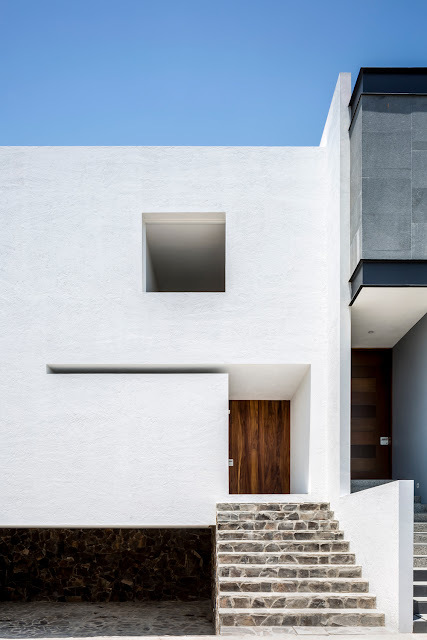 Designed as a white enclosed cube that ensures users privacy, the house’s core is a double height patio that provides natural lighting and ventilation to the lower level. It also hosts a planted tree, a unique feature that brings a true character to the space. The best way to get to know an architect is to know their projects, they speak for us, unmask us when the work is honest, they exist as a mirror of who we are. 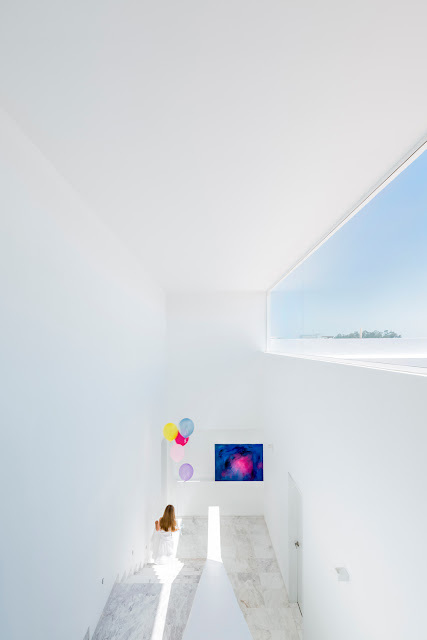 There is something behind the cave that speaks of who I am, that form of an enclosed cube that seeks to be hidden from the world, while showing openings that exhibit a contradiction, perhaps I do not want to remain apart from the world, as a proof these narrow cracks show a characteristic from mankind, The longing of being known and loved. 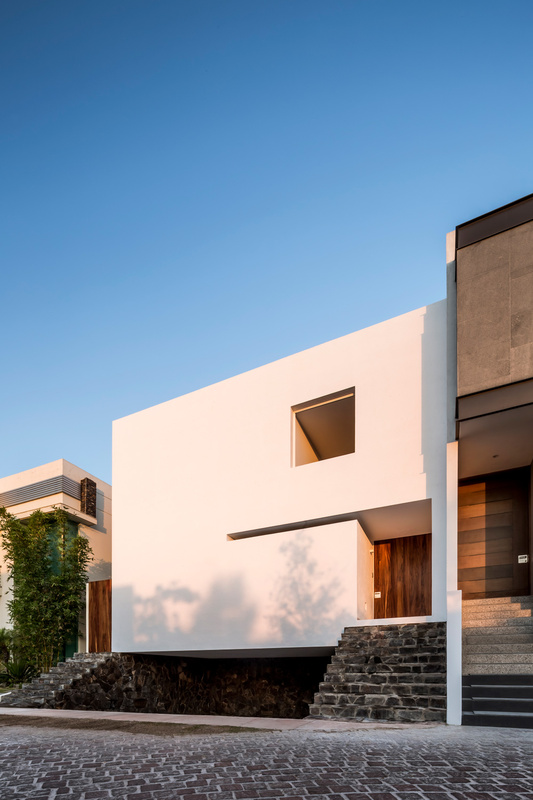 The land is located within the metropolitan area of Guadalajara, in one of many private condominiums delimited by large walls, as a result of increased insecurity in Mexico. 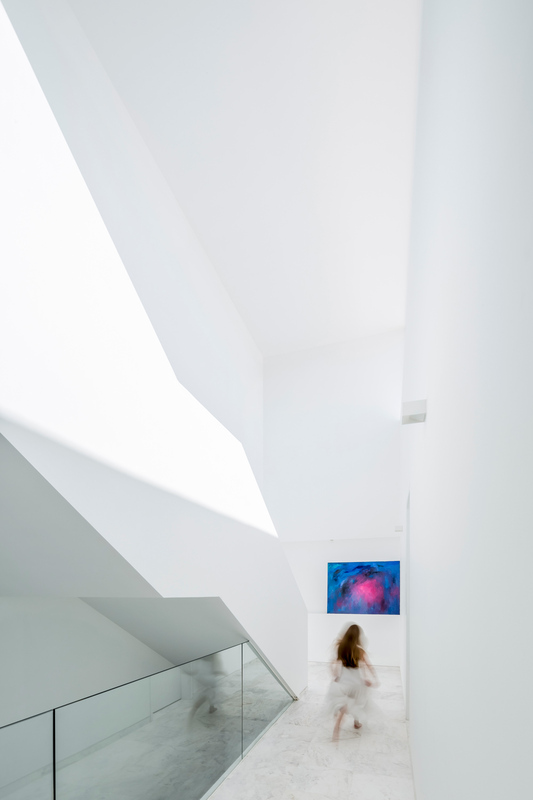 It is this duality among a chaotic city and the search for isolation and shelter, what generates Introspective Architecture. 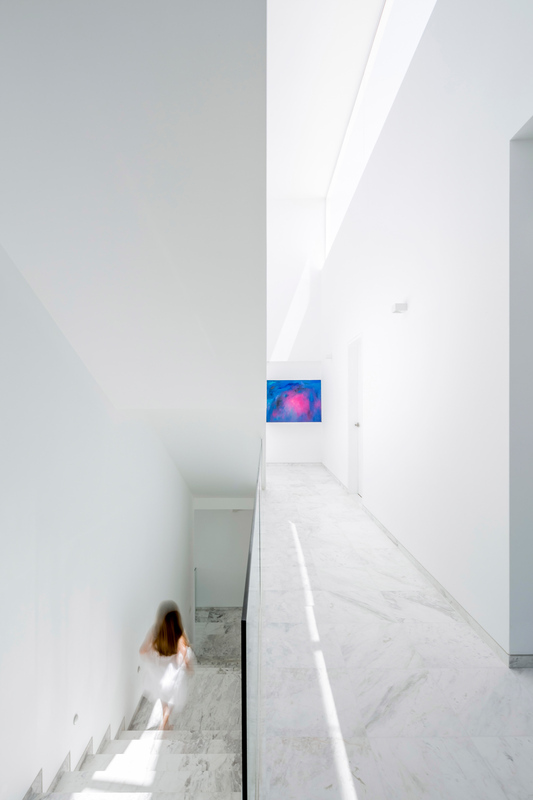 An Architecture that seeks to give a fundamental importance to the user's privacy, generating an atmosphere that combines the correct management of light and the fluidity of spaces. 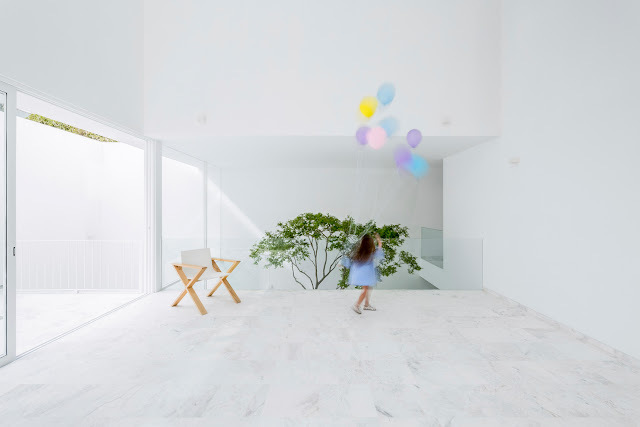 The project was born from listening the client's needs: within the list of dependencies, a space seemed fundamental, a multipurpose room located on the basement was needed where the client´s family would spend a lot of quality time. We thought of ​​introducing a double height patio that would provide natural lighting and ventilation to the basement. 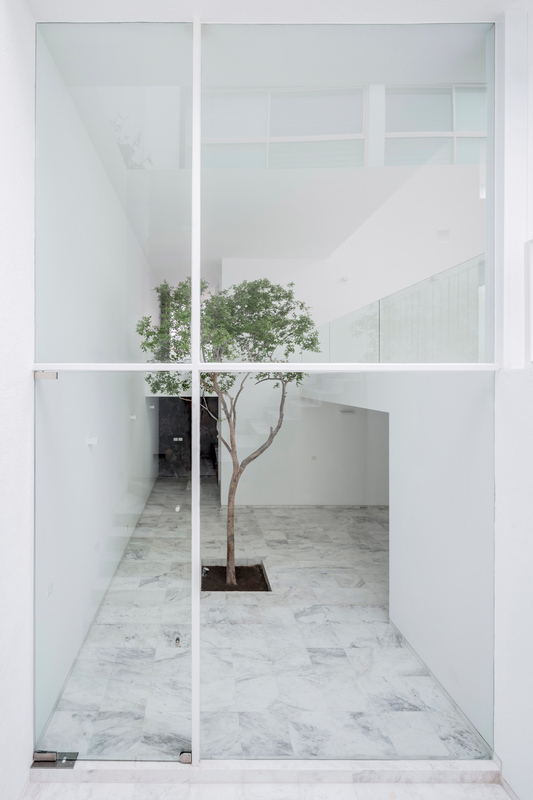 This gave us the perfect excuse to plant a tree that would bring character to the space. 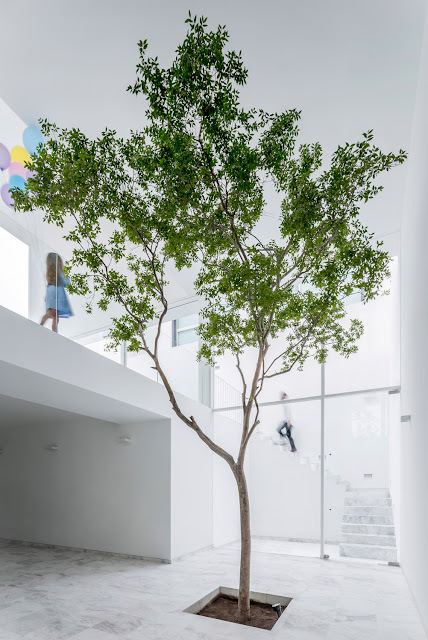 On the ground floor, the crown of the tree rises, filling the void generated by the double heights, extending its branches throughout the surrounding spaces. 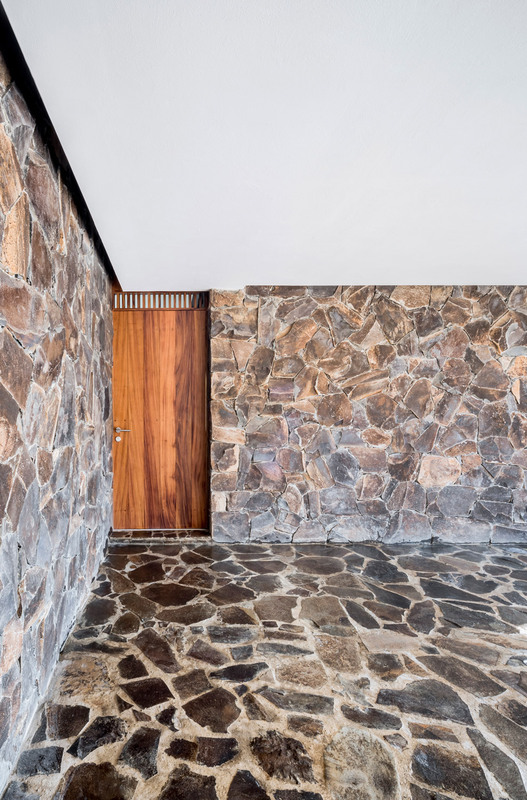 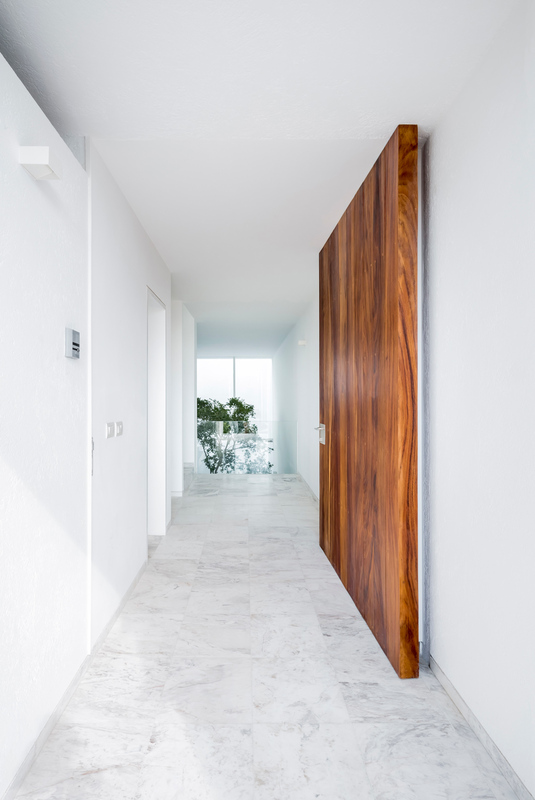 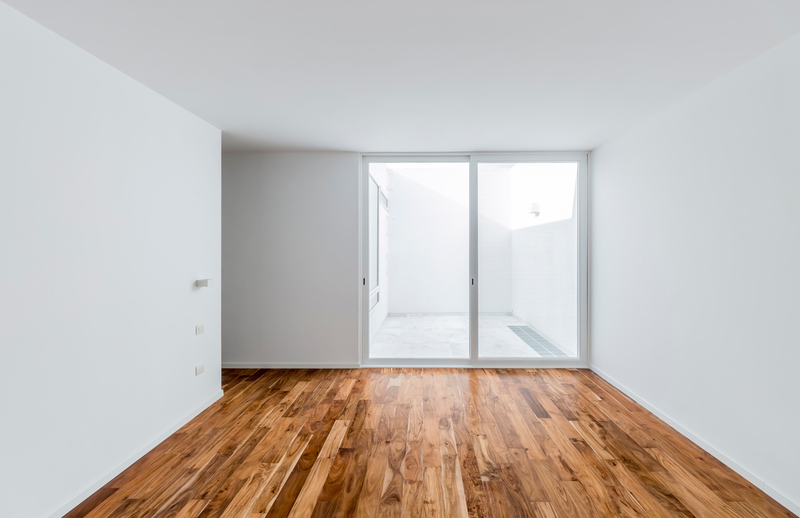 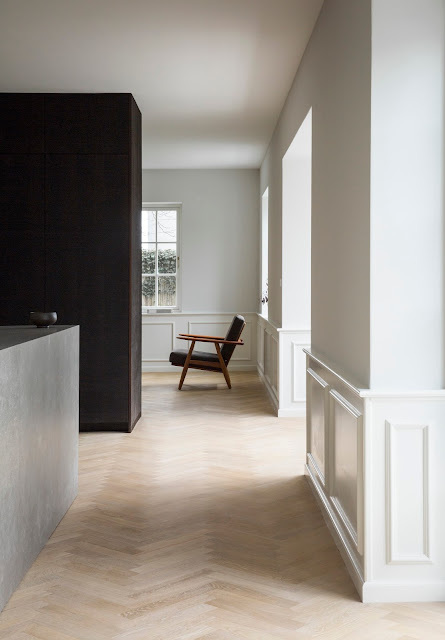 This void acts as an articulator, causing an indirect spatial relationship between the entrance on both levels and the dining room, the spaces can be seen but not touched. 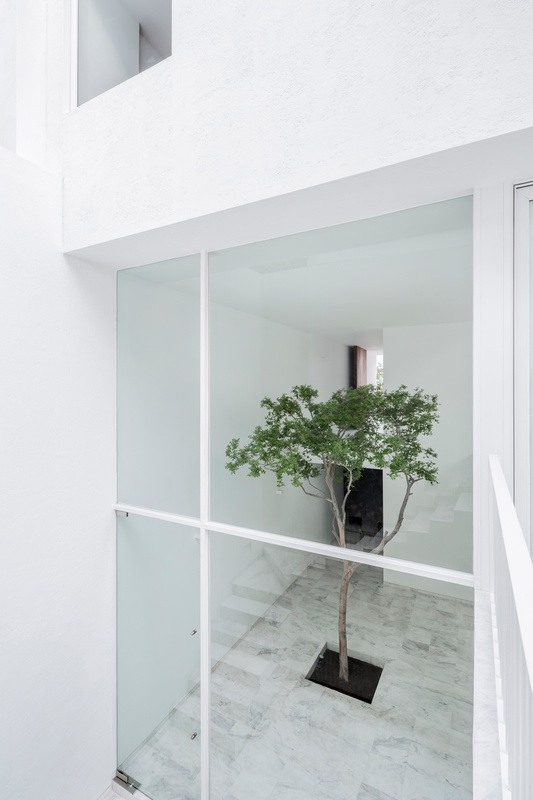 When you enter the house, whether by the basement or the ground floor, the tree welcomes you, as a host who opens its arms to salute you. Oriented towards the back of the plot the dining room is located on a space with a double height, it communicates with the void of the patio on the basement, and generates a segmented triple height that causes astonishment to the viewer once it is discovered. 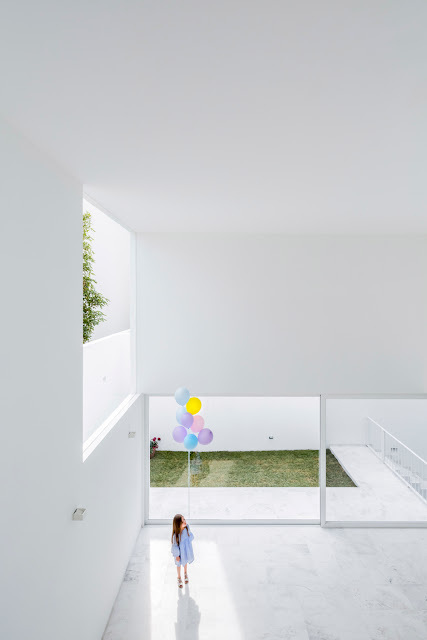 Facing south, a large window bathes in light the space of both concatenated double heights. On the second level where the rooms of the children are located. 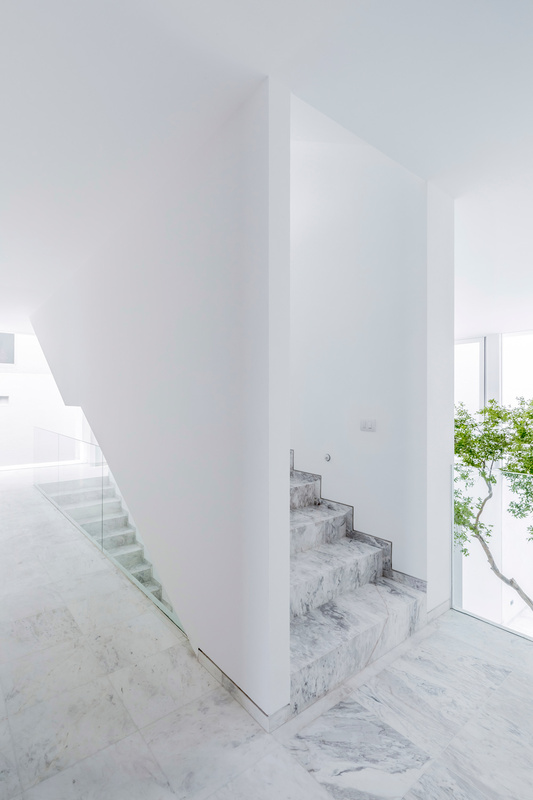 A staircase with a solid handrail brings a sculptural approach to the space, which in turn let us discover another double height that relates with the last level of the house where the main room is illuminated through a patio. 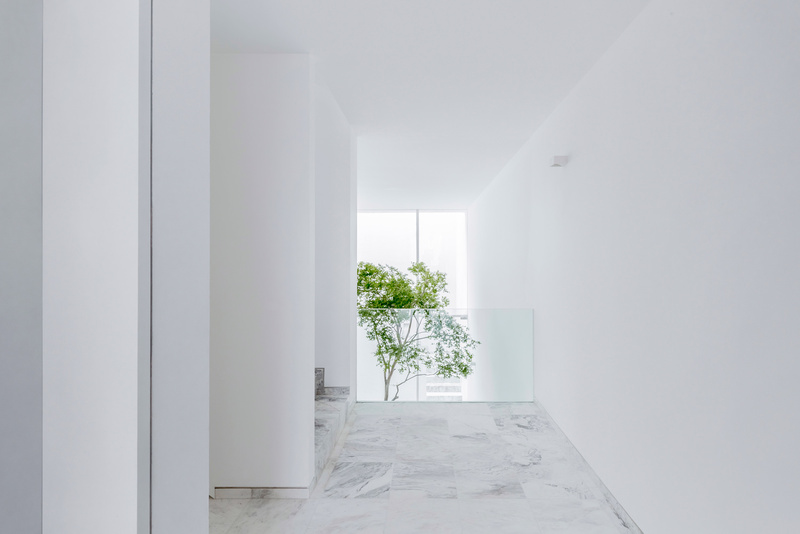 A window that captures the light of the east, lets the warm air of the house escape. 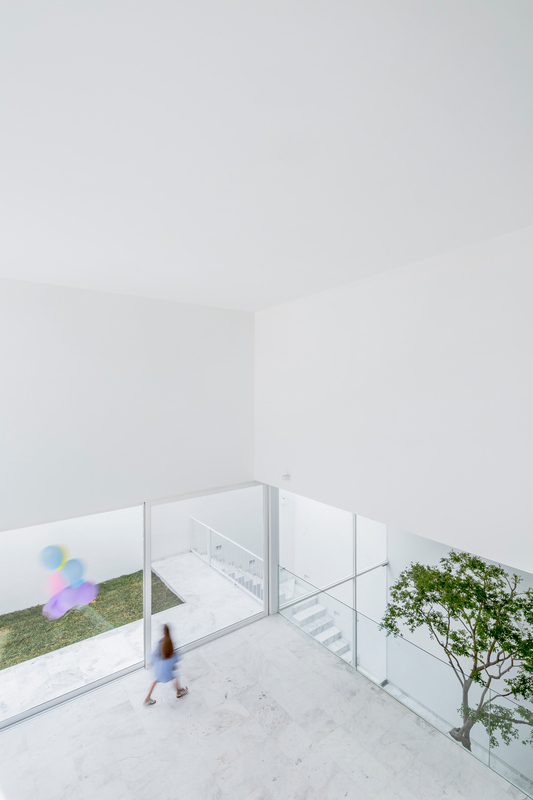 The outer form: a cube that sits on a stone base, seeks to be as closed as possible but opening the grooves necessary to provoke in the viewer an interest in knowing what goes on inside.